It can be a fun expression of your personality and there are so many choices. Gold or silver? Classic or rebel? Less is more? Or more is more..? You know which category I fall in..! Each day in elementary school I would choose a necklace to wear. I had no shortage of choices seeing as my mom and grandma had a thing for Avon…! Fast forward some years…and since I have sort of a letting go problem…. I had a pile of necklaces from childhood. 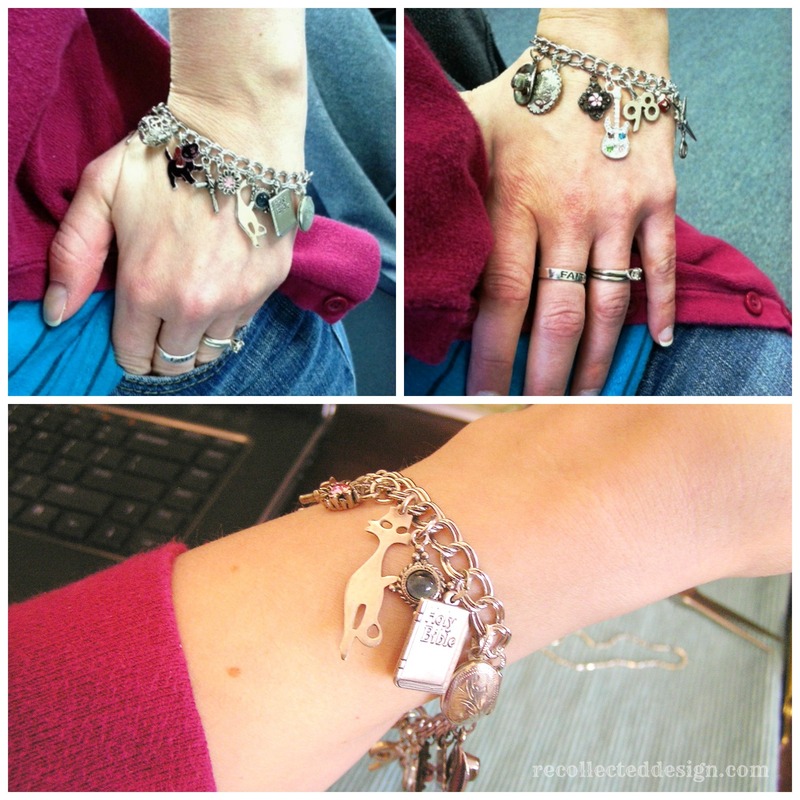 I also had lonely earrings and tiny pendants on broken chains that I stubbornly thought I would get around to fixing… And a charm bracelet that looked conspicuously bare flaunting only 4 charms…. 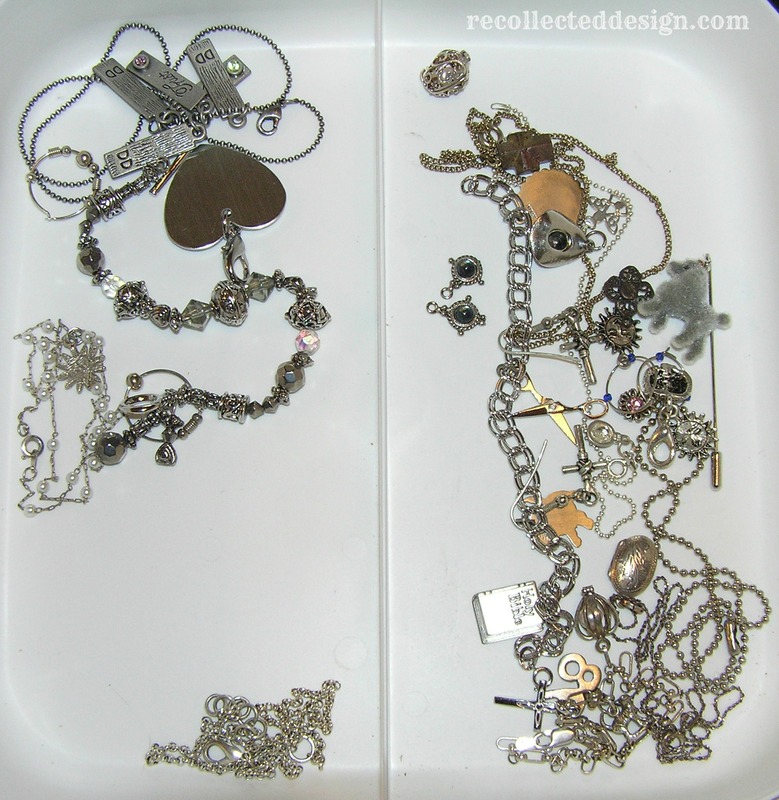 What’s a jewelry hoarder to do? 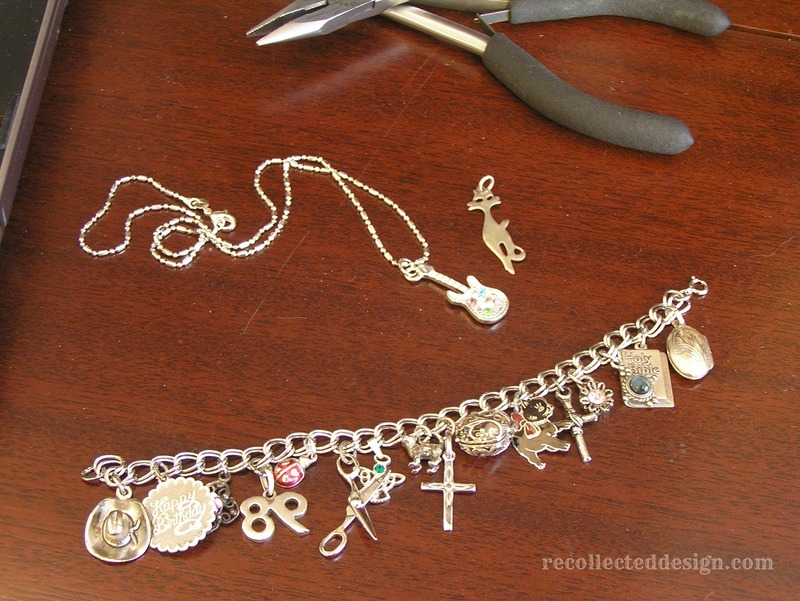 Since my pull in life lately is to Inspire*Transform*Revive…I sorted through all the broken bracelets, corralled the single earrings and picked my favorite teeny tiny pendants from child hood… I grabbed my pliers and one by one, they found a new home along the resurrected charm bracelet… What’s old is new again..! It cost nothing! I already had all the bling..! It’s unique! No one will have the same bracelet as you! I guarantee…! 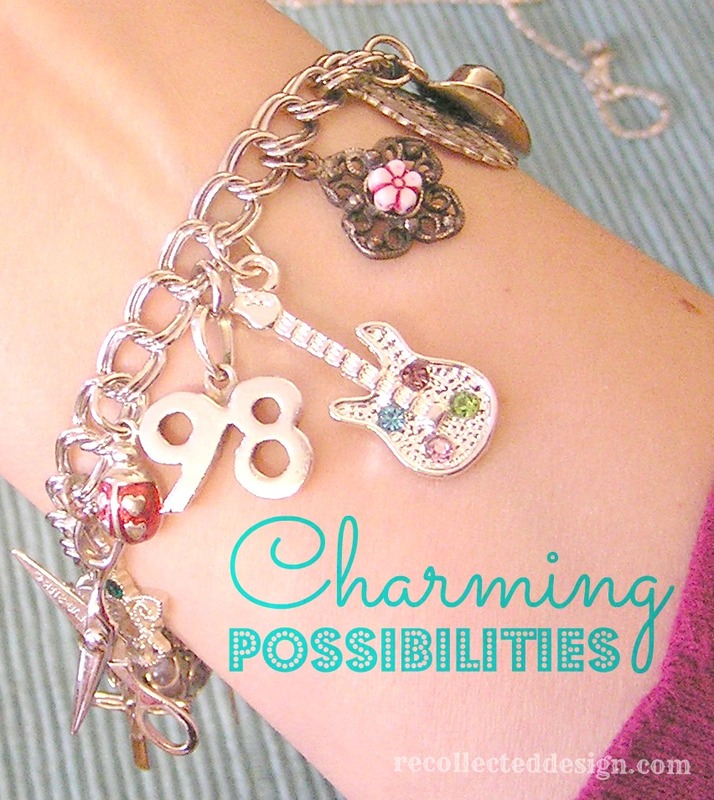 This is a simple project anyone can do- even if all you have is just a bracelet that has large enough links to get a jump ring through you can totally rock your own custom charm creation..! Kind of reminds me of 2 of my favorite verses: 2 Corinthians 5:17 and Ephesians 2:10…! Thanks for reading! What’s your favorite piece of jewelry? God can take our ‘junk’ y lives and make something beautiful!!!! We have to be available to His moulding and making!! precisely what I was thinking : ) Amen!